The day was so beautiful that the setting looked even more spectacular than usual. 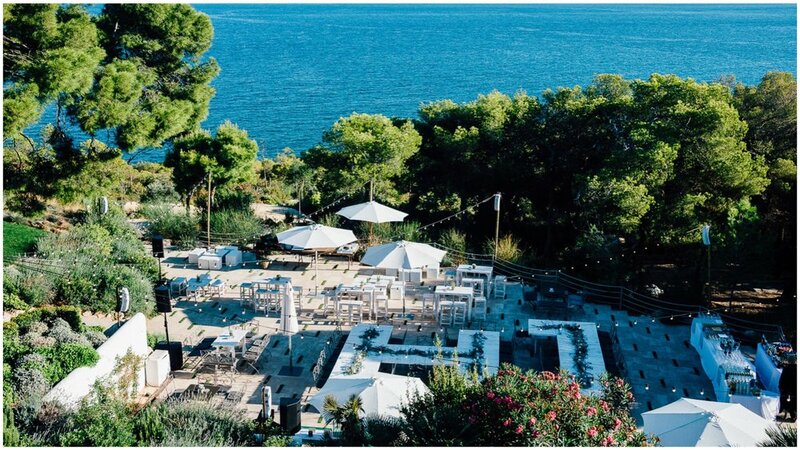 The venue was a Mediterranean white and modern Masia overlooking the sea with an amazing infinity pool. A fresh lemonade was ready to welcome all the guests coming from different parts of the world, mainly from Egypt and the UK. The catering at the party included different food stalls such as, a range of salads, olives & cheese, healthy juices and the main stall, which the guests found very impressive (Scroll down to find out more!). The setting was again, very personal. As you can see in the photo below the long tables were in the shape of L and H, their initials. 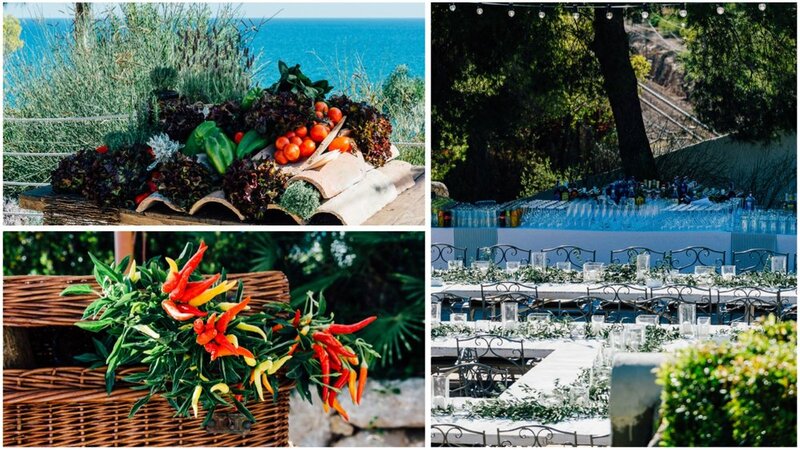 The decorations were Mediterranean themed which mainly included: olive tree leaves, lavander, rosemary, wildflowers and lots of candles and seasonal fruits. As you can see in the photos below, the most impressive food stall of the party was a variety of huge and delicious PAELLAS! The sunset was spectacular and the DJ, Ramy DJunkie, also from Egypt, created a magical atmosphere for everyone. Another magical aspect of the party was the Live Experience Show which was performed by Micah (violin), Ruben Moran (saxophone) and Manuel Moore (electric guitar). They had flown in from Ibiza to be at the pre-wedding party and they delivered an unreal show! Overall, the party was what we call MAGIC!